This three day conference is organised by SCI and RSC. 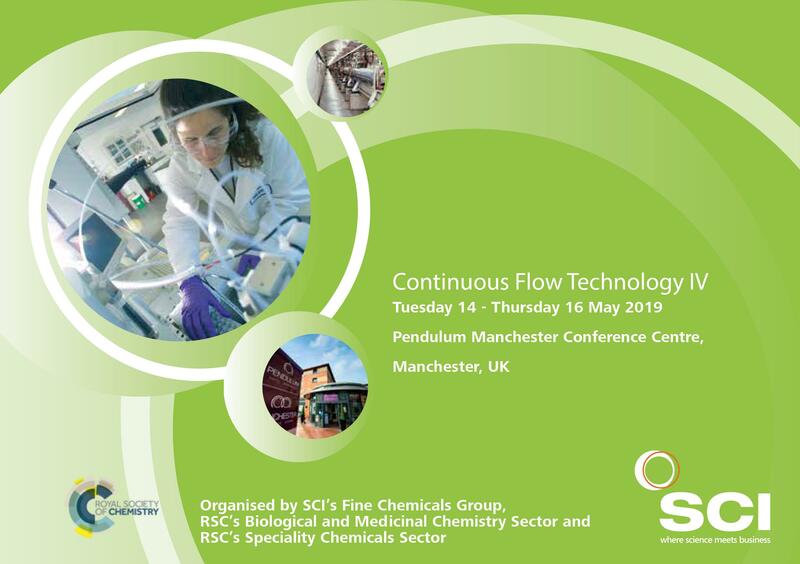 The event reflects the advances made with continuous flow technology over recent years and the impact it is making right across the chemicals industry spanning discovery applications, process development advances and value for commercial manufacture of fine and speciality chemicals. To reflect the mix of interests and applications across the chemistry community, the symposium is structured as two back to back events with options for attending two consecutive days or all three. Full programme and booking details are at the SCI website.